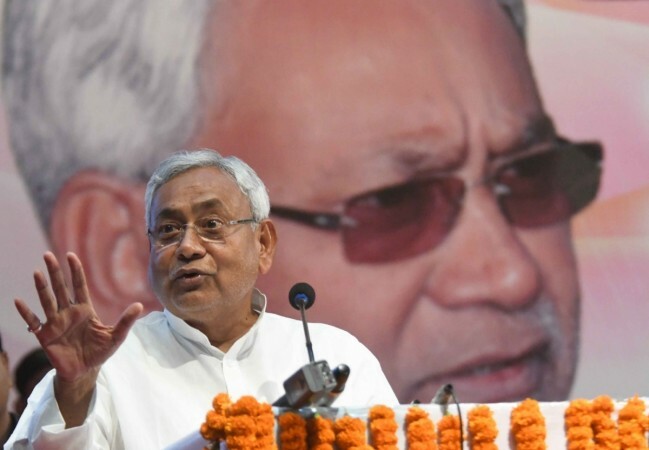 The confirmation comes hours after Bihar CM Nitish Kumar hosted a breakfast for BJP president Amit Shah to discuss the strategy for both Lok Sabha and Bihar Assembly elections. Bharatiya Janata Party president Amit Shah has stated that the alliance between his party and Janata Dal (United) will continue in Bihar, reports ANI. 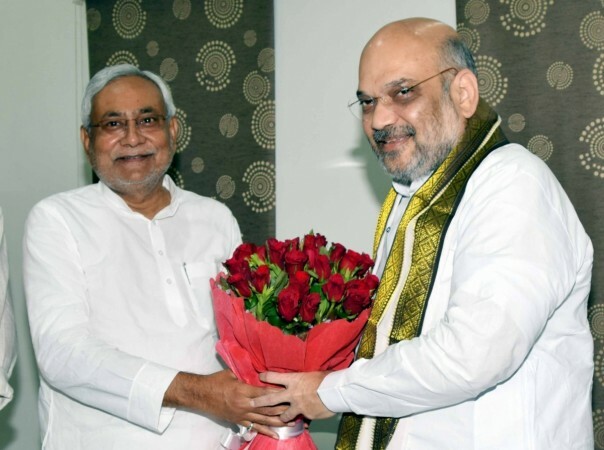 The confirmation comes hours after Kumar hosted a breakfast for Shah on Thursday, June 12, to discuss the strategy for both Lok Sabha and Bihar Assembly elections. The two leaders are also expected to meet for dinner at 8 pm in Patna and resolve the seat-sharing issue for the upcoming elections. 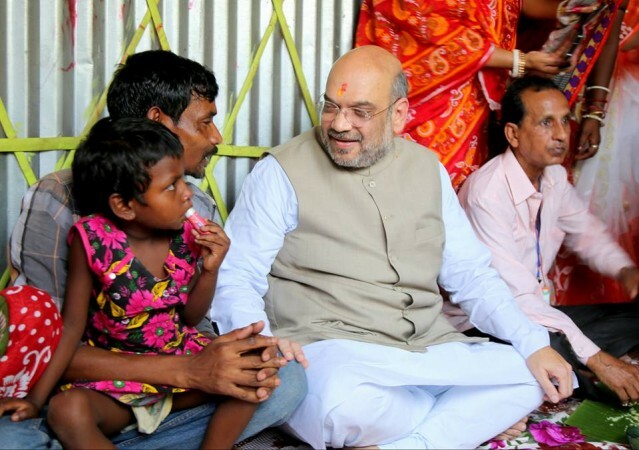 This is the BJP president's first visit to Patna after JD-(U) joined the National Democratic Alliance in July 2017 after dumping the Rashtriya Janata Dal and Congress. Shah had arrived in Patna early morning and headed straight to the state guest house. He met Bihar's chief minister, deputy chief minister Sushil Kumar Modi and several other party functionaries. The menu for their breakfast included poha, sattu, fruits, lassi and buttermilk, reports Outlook magazine. The alliance between BJP and JD(U) had always been strenuous and faced hiccups since last year. Seat sharing has been a topic of debate between the two parties and hence the meeting between Shah and Kumar was extremely pivotal in the run-up to the assembly elections. The reaffirmation of the alliance has, however, not gone down well with the Congress camp as opposition leader Ashok Gehlot said: "Nitish has taken a wrong step (by going with the BJP). We believe that Nitish must be repenting." Gehlot had met RJD chief Lalu Prasad at his residence in Patna and had also attended a meeting of the Bihar Congress Committee, reports News 18. Last week, JD (U) leader KC Tyagi had said that the party does not look to ally with BJP in four states. "We aren't helping or supporting or opposing the BJP. We fought in Gujarat, in Nagaland, in Karnataka on limited seats... We carry the political agenda of our party," Tyagi was quoted as saying by NDTV.